Cinema Magic was an exhibition about the history of sound in cinema. Its centerpiece was a three-part video installation, Attempting to Delay the Inevitable (2016), by London-based visual artist, Sophie Clements. Sophie transformed ordinary materials—smoke, mirrors, and water—into cinematic sculptures using “bullet time” motion techniques. Her 360-degree camera rig captured the emotional action of an explosion, a crash, and a spill from all angles, splicing a series of single moments into multiple frames. The result was a digital film strip that appeared to wrap around the gallery's architecture. 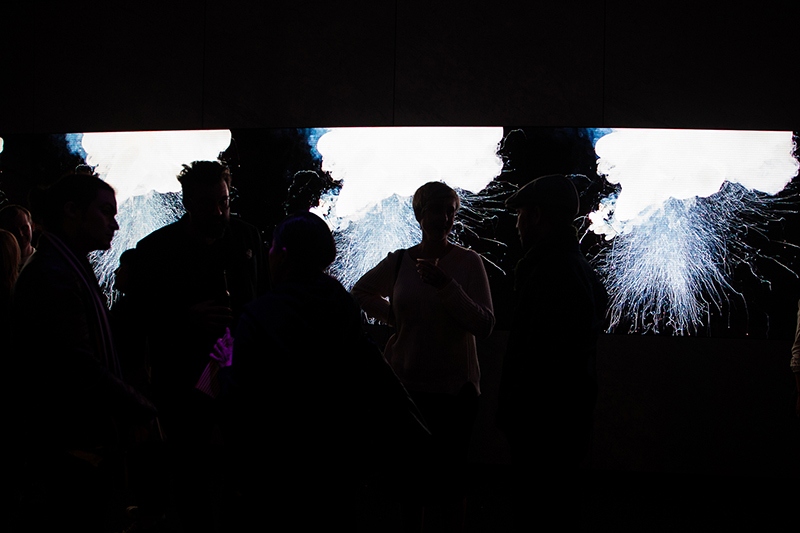 Dolby Gallery video installations utilize a custom Dolby Atmos system to create three-dimensional listening experiences. Sophie's soundscape circled around the listener, positioning viewers at the center of her onscreen action in homage to the history of surround sound. Images courtesy of Imprint Projects.